It's time again for another of the CRAA's regular public service projects! The fall cleanup of adopted highway Rt 9R will be held on Sunday, November 4th. 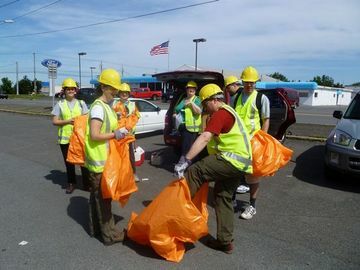 Work-party attendees will meet at 10 AM at the CVS Pharmacy at 385 Columbia Street in Cohoes, and work up toward Latham. Those looking for a little pre-cleanup cameraderie can meet at the Latham 76 Diner, on Route 9, at 8:30. Loads more details are available at the event page.